This Southern Sweet Potato Pie has been served at our family gatherings since before I was born, and oh my that's a very long time. We grow sweet potatoes in our garden every year so we really enjoy the home grown potatoes for this recipe. Roasting the sweet potatoes enhance this rich and very flavorful pie making it one of our favorites, from our garden to the table! Remove the skin from the potatoes and place the meat of the potato into a bowl, set aside. In a large mixing bowl, add the sugar and melted butter. Mix well. Add the 3 tablespoons flour and mix. Stir in 2 beaten eggs, cinnamon, allspice and the evaporated milk, mix well. Stir in the mashed roasted sweet potatoes, mix well. Pour the pie mixture into the unbaked pie crust. Bake at 350 degrees for 30 to 45 minutes, until set in the center. This Slice Is Just For You! 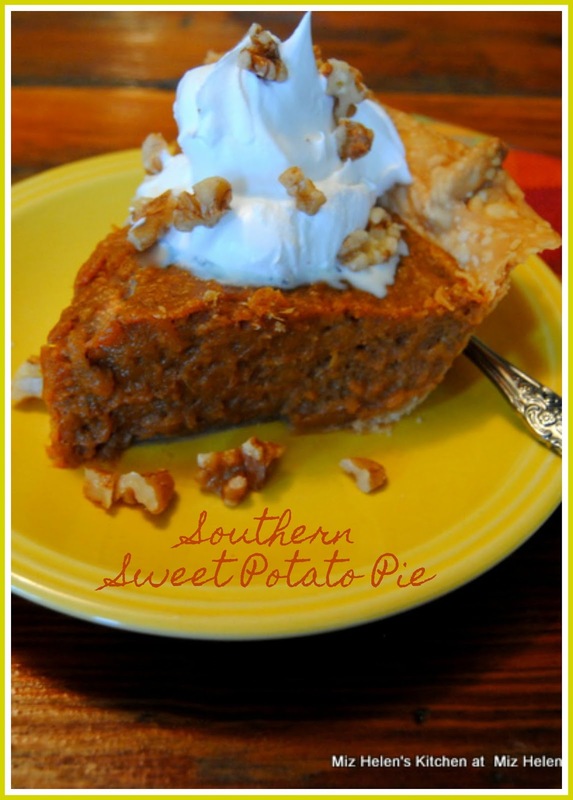 I sure am glad that you could stop by today and have some of our families favorite Southern Sweet Potato Pie. When a recipe is passed down for generations, you know it has got to be good. Hope you have a fantastic week and come back to see us real soon! Do you know I've never had sweet potato pie? Yours sure looks good! I've never had sweet potato pie either, but I'm sure I'd enjoy it. 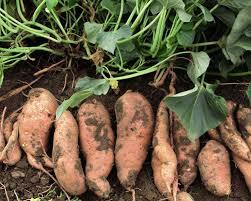 I love that you used homegrown sweet potatoes! I love that you show how to make this from actual sweet potatoes instead of a can. Thank you Miz Helen! I love sweet potato pie! Thanks you for sharing at the What's for Dinner Party! I know who I am going to make this for. My MIL loves this. Thanks for sharing it. Merry Christmas! Now I have no excuse not to make a sweet potato pie! Your recipe looks so easy to follow.